Dogs are often considered man's best friend. While most people think of dogs as a companion or a family pet, they also have many very important jobs that have helped humans do all kinds of tasks. Whether it is a large or small dog, their importance is significant, and their contributions to our world are definitely undeniable. Here is a look at some of the most important dogs and their equally important jobs, all meant to help people live better lives. Farmers use dogs to help them herd their livestock, sheep, and other animals. 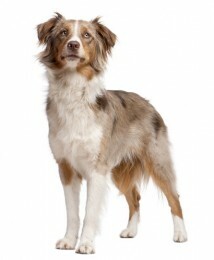 The Australian shepherd is a classic example of a herding dog. This friendly yet loyal dog chases livestock and helps to keep the farm animals "herded" or grouped together. Their slick ways of motivating unruly animals into a pen or a condensed location makes them the ultimate choice for farmers and people who raise cattle. Other breeds of herding dogs include the Welsh Corgie, collie, and English sheep dog to name a few. Hunting dogs have also proved their worth by helping humans hunt a variety of animals for centuries. British fox hounds help to chase down foxes, and scent hounds can help track down a duck or other animal just with their keen scent. Some other breeds of hunting dogs include spaniels, poodles, and greyhounds. Some of the most valuable dogs to humans are those that help guard our safety. Police officers have been using German Shepherds for decades as drug and bomb sniffing dogs as well as a deterrent for criminals and protection for the officers. Other dogs help with things like search and rescue if someone has become missing or lost. Blood hounds are a well known choice for this job since they can pick up scents very well and are able to pinpoint designated smells. The military also uses dogs to assist them with sniffing out land mines and looking for enemies. All of these dogs are very loyal and therefore are a top choice for homeowners who want extra protection. 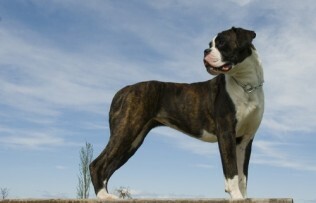 Some other examples of these brave dog breeds include pit bull terriers and mastiffs. Many dogs have a distinct job, but show and agility dogs are mostly there for our entertainment. These graceful dogs can perform in various showcase events, where they exhibit their skills at different tasks such as jumping, diving, and fetching, to name a few. Show dogs are known for their beauty and grooming, and some dog shows can bring in a great prize for the winner including fame and even cash prizes. While there are not specific breeds for these types of dogs, both show and agility dogs must be of a certain bloodline and meet certain specifications in order to be shown or to participate in agility events. The Alaskan Eskimos have used sled dogs to help them get from one place to another for generations. These strong dogs can travel over long expanses of snow and ice with little problems. The dogs can also pull people and gear on sleds for miles at a time. A few breeds of sled dogs include the husky, malamute, Canadian Inuit Dog, Chinook, Samoyed, and may others. These dogs are very loyal, strong, and prefer to live and move in packs. They are an invaluable resource for people and their use has been traced back as far as the 10th century. Many dogs are excellent helpers for those in need. Seeing eye dogs can help lead blind people through every day environments such as city streets or in busy supermarkets. These dogs serve as the blind person's eyes and can become a real friend for life. Other medically used dogs include seizure detecting and even cancer detecting dogs. Studies have shown that dogs can provide many benefits to people, including lowering blood pressure and providing emotional support. Today, therapy dogs are used to help the elderly, sick, and abused. They can also be a great help to war veterans. Puppies for SaleTrying to locate dogs for sale in Rhode Island? Puppies 'N Dogs is an excellent resource to find your next puppy or dog!